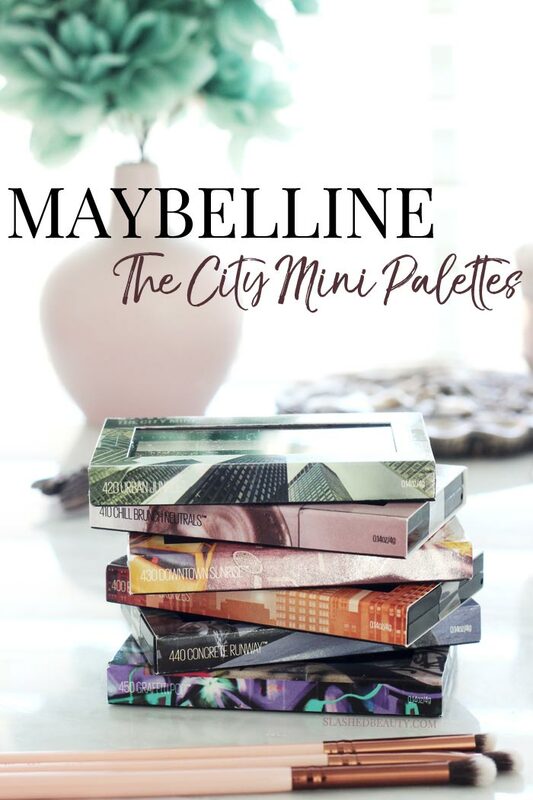 Of the endless launches Maybelline threw at us in the past few months, the one I was most excited to see were The City Mini Palettes. These cute, compact palettes looked like they’d be awesome for travel, or just saving space while adding some must-have colors to my collection. 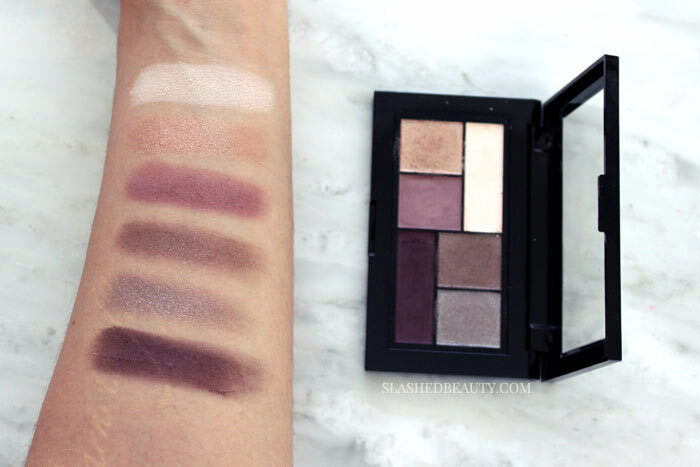 The City Mini Palettes all contain six shades to create multiple looks out of. Some are shimmer heavy while others have a better balance between finishes, though they all have a great range of color. Upon first swatching, some of the matte shades left me wanting more pigment, but they are easily layered to get a stronger color. The shimmers and satins definitely have more color payoff in one swipe. Let’s look at each palette individually, since I felt that the pigmentation varied. One of my favorites of the bunch, and an Oprah Beauty Award Winner, Chill Brunch Neutrals features plums, rose golds and shimmery taupes. The two matte shades are the lightest cream and the mid-toned mauve. The darkest purple comes off a little satin-y, but is flat enough to use in your crease. The other shades are very shimmery and give awesome lid and highlight options. 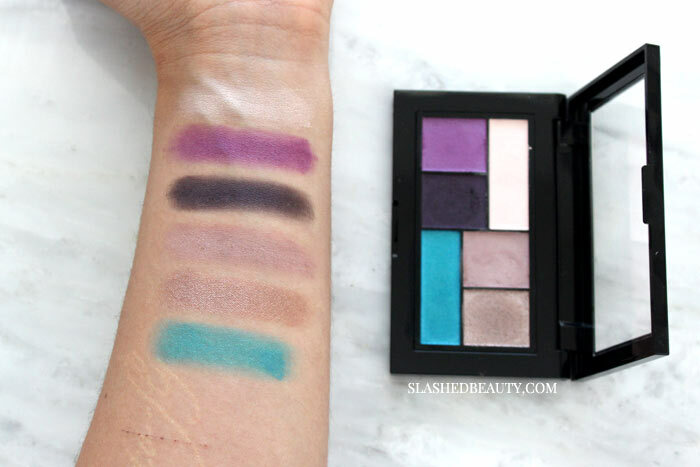 Concrete Runway was another one that performed well with its smoky shades and pop of blue. The white matte was pretty sheer, though, and would probably only be useful as a subtle highlight shade. The silver also came off more glittery than an opaque shimmer. Other than those, we got some good pigmentation when layered— especially the cobalt blue. 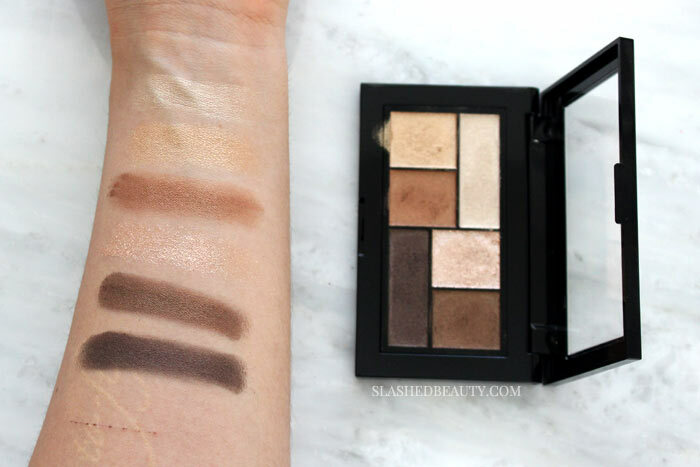 Out of all the palettes, Rooftop Bronzes had the best pigmentation from shade to shade. However, there are ZERO mattes in this palette. Even the dark brown has a pretty significant amount of shimmer. While you can definitely create full looks out of these shades, all-shimmer looks are not my cup of tea when trying to create dimension. Urban Jungle combines cool greens and a pop of gold for a funky look full of shimmer. 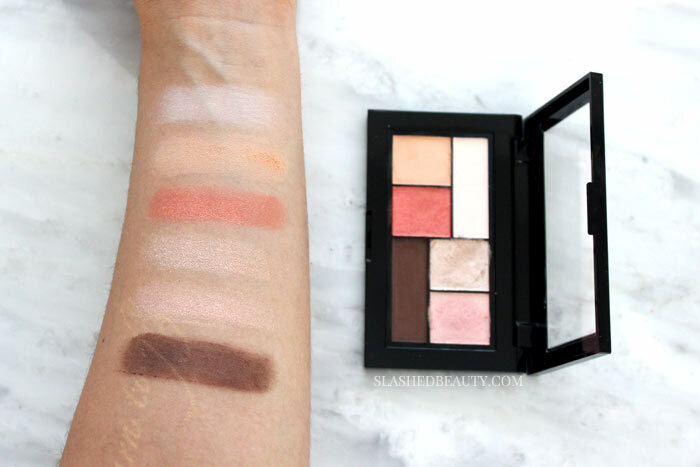 This one was probably my least favorite of the palettes, with the weakest pigmentation and least versatility. The gold came off all shimmer and no pigment, and there are not enough mattes in here for a good balance. A great every-day summer and springtime pick, Downtown Sunrise features bright corals and baby pinks with a deep brown that helps complete looks when used as a crease or liner shade. 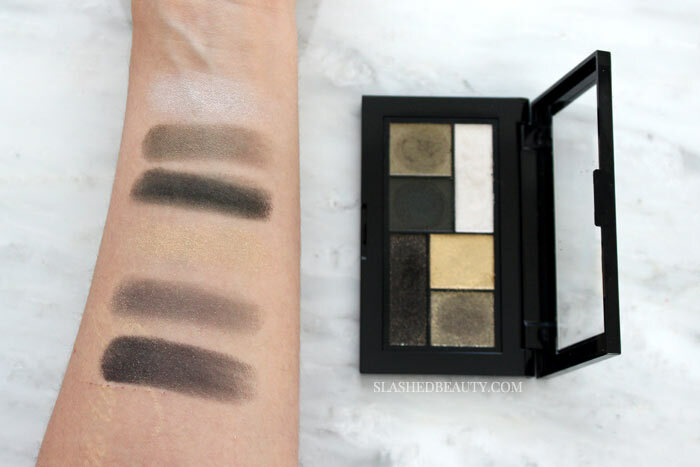 I feel that this is the most balanced and pigmented of the palettes, and you can make some great day time looks with the shades. However, I don’t see much possibility for endless nighttime looks. The most colorful of the palettes, Graffiti Pop is for those who want to make a statement. With a bright pool blue and purple, mixed with some gorgeous satin neutrals, you can really get creative with this one. I loved 5/6 shades in this palette, with the only letdown being the bright blue itself. It didn’t go on as smoothly as the rest, and was also difficult to remove. As you can tell, each palette has its own pros and cons. The ones that performed most consistently were Rooftop Bronzes, Downtown Sunrise and Chill Brunch Neutrals, though the rest do have some element that could easily earn them a place in your collection. The formula of the shadows is soft across the board, which makes them easy to glide on and blend. However, this creates a lot of powder in the pans and you will experience fall out. Especially if you’re working with darker shades, I would either lay down some translucent powder to catch rogue pigment/glitter or do your eyes before your face makeup. With primer, I experience very little creasing with these— more with the mattes than the shimmers but still very minimal. Overall, for $9.99 at Ulta Beauty, they’re okay palettes. They’re not the best but they’re convenient. I think the packaging alone is what makes them different from what you might already have in your collection. However, if you’re just building up your collection, these are a great way to add a big range of colors on a budget. 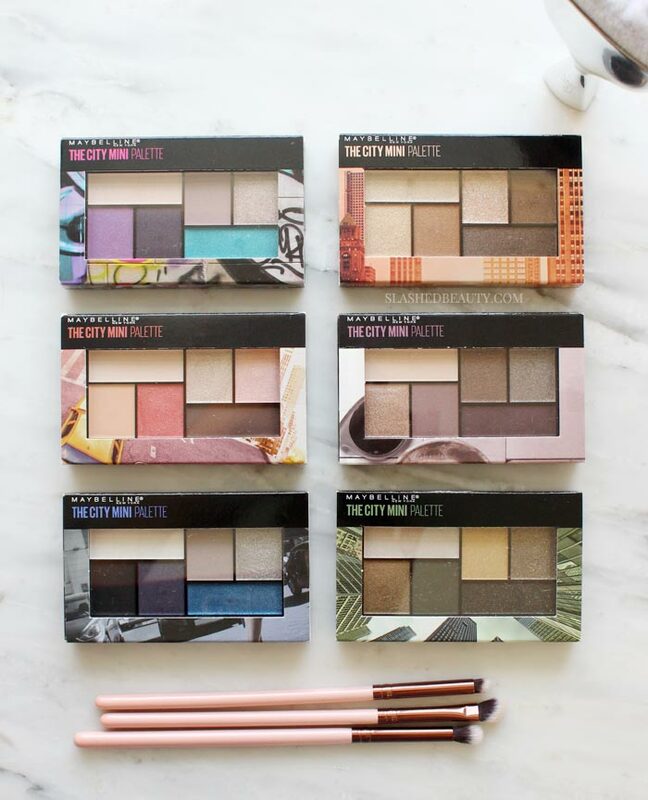 Have you tried any of The City Mini Palettes? Which is your fave? There is one more in the collection, “all about matte”, I love this palette. I wear it everyday. I’ve tried going back to some of my other palettes and I don’t get the easy way to combine and get a pulled together look.